The Google+ API allows you to create interactive posts you can share from your website, which contain a call-to-action button with an image and details from the link you want to share. The API lets you pre-fill the text the user can use to share your link (something which Facebook as removed from their API), and gives you options to add in deep-links for mobile apps too. data-calltoactionlabel – label for your call-to-action button, see the full list here. 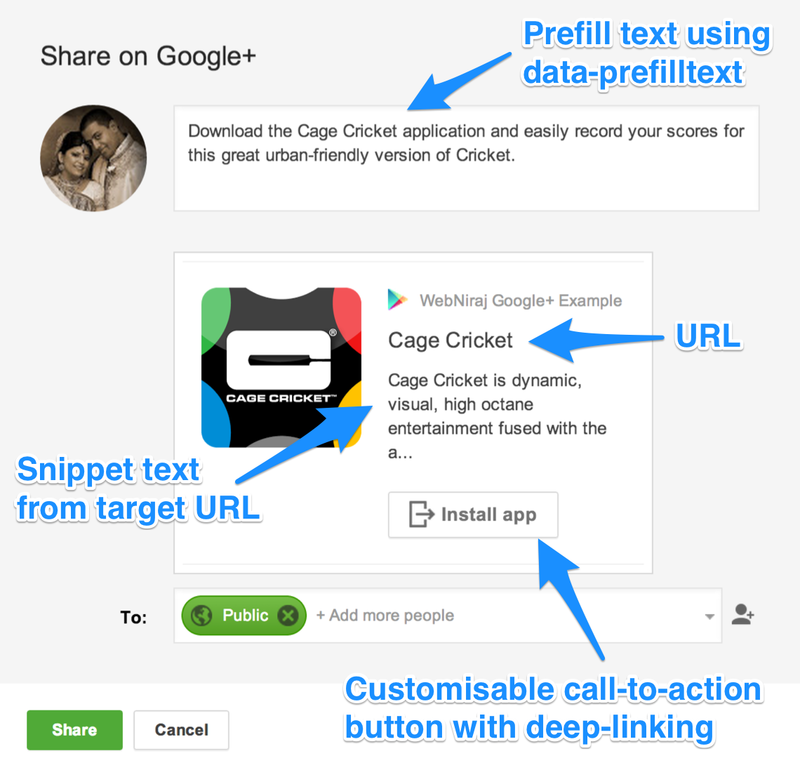 data-calltoactionurl – URL for the call-to-action button. The content URL and the call-to-action URL must match for the post to work. It is currently not possible to track sharing of the interactive post, but it is possible using the standard Share button. Is it possible to receive a callback after successful share? No. Google+ does not send callback on share, only when pressing the button. So you cannot correctly determine if the user actually shared a post.